Ayn Rand said, “If it’s worth doing, it’s worth overdoing.” As far as we’re concerned those are words to live by, and something that’s exemplified by most of the posts on this site. She also said some really suspect stuff about the disabled and Native Americans and reality, but you’ve got to take the good with the bad and all that. We don’t know how much Rand [Will Weber] has read, but we’re willing to bet he’d agree about overdoing it. 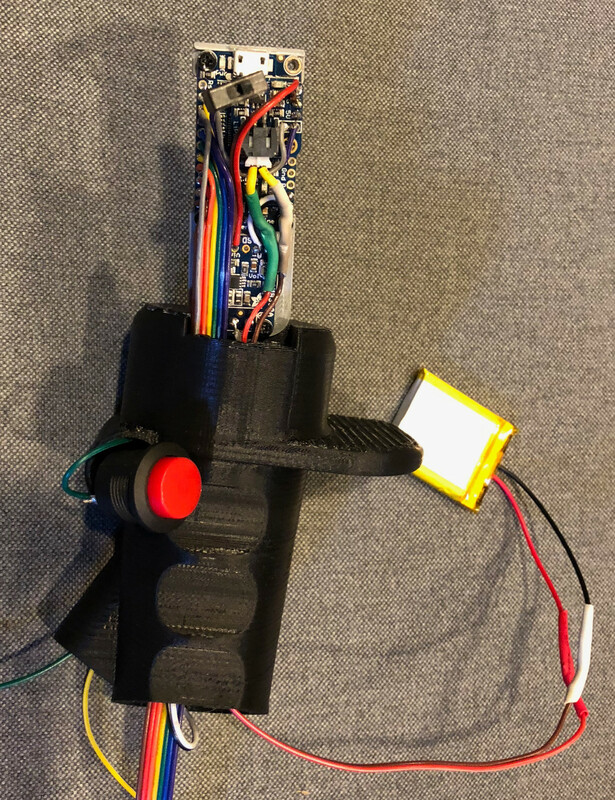 He recently documented a very cool 3D printed tap handle that’s designed to look like the B8 flight stick from an AH-1 Cobra helicopter. But this is no static piece of plastic, in the video after the break, he demonstrates how each button on the flight stick triggers a different weapons sound effect. The 3D print is separated up into a number of sections so that the stick can be assembled in pieces. Not only does this make it an easier print, it also allows for the installation of the electronics. For the Arduino aficionados out there, we have some bad news. Rather than putting in a general purpose microcontroller, [Will] went the easy route and used an Adafruit Audio FX Mini Sound Board. These boards have their own onboard storage for the audio files and don’t require a microcontroller to function. It makes it super easy to add sound effects or even music to your projects; just pair it with a power supply, a couple of buttons, and a speaker. The finish work on the printed parts looks excellent. We can only imagine how much fun [Will] had sanding inside all the little nooks and crannies to get such a smooth final result. While some might complain about the idea of a tap handle needing to be recharged occasionally, we think the satisfaction of firing off a few rockets every time you grab a glass is more than worth it.